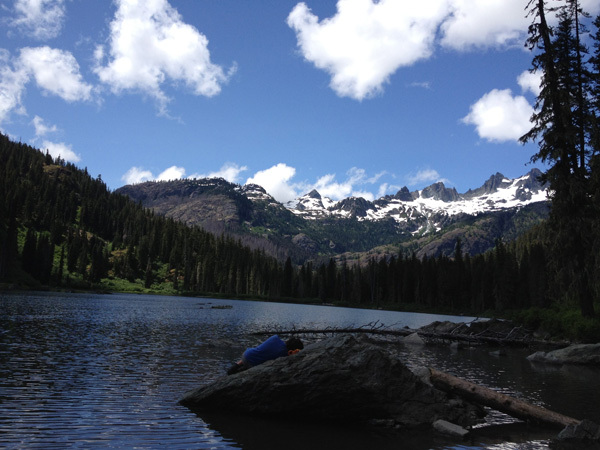 Editor’s Note: Seattle Backpackers Magazine is pleased to publish this call to advocacy from the Sierra Club to protect the Okanogoan-Wenatchee National Forest Wildlands that currently stand on the precipice of change. The ski and snowshoe season is upon us and if you are anything like me you will be traversing I-90 as you head up to Snoqualmie, or maybe you prefer U.S. Route 2, taking you up to Stevens Pass. 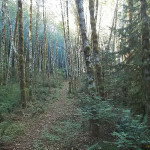 While the heavy snowfall forecast for the North Cascades will surely meet your winter recreation needs you may also consider this unique forest for the backpacking opportunities it brings as the snow finally melts, giving way to spring and summer. Just over the North Cascades ridgeline rests one of Washington State’s most cherished natural treasures, the Okanogan-Wenatchee National Forest. However, this majestic jewel of the Northern Cascades is facing a steady, unrelenting invasion from motorized vehicles. Destructive dirt bikes and four-wheel ATVs are carving up this spectacular landscape — endangering precious wildlife habitat, ruining peaceful world-class recreation and jeopardizing our water quality. The longer we wait to protect pristine roadless areas the more encroachment there is. Increased road building that fractures the landscape and crowds out wildlife diminishes the natural beauty of the forest. In the coming months, the Forest Service will have the opportunity to protect the Okanogan-Wenatchee National Forest by recommending sensitive areas for Wilderness designation. Wilderness offers the highest level of protection possible. But it is up to you and me to make sure they carry out their mission to protect our beloved wild places. 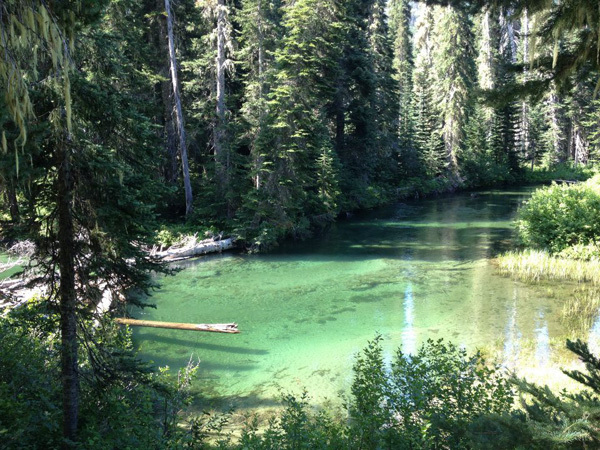 Central Washington National Forests encompass roughly four million acres of public land, featuring miles of trails, a cadre of wild rivers, crystal clear alpine lakes and iconic mountain vistas. 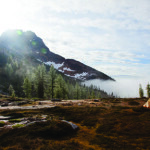 Currently, the Okanogan-Wenatchee boasts eight pristine wilderness areas coveted by backpackers for their natural character and prehistoric solitude. The eight awe-inspiring Wilderness areas range from the Pasayten Wilderness on the northern edge of the forest, to the Goat Rocks Wilderness area that resides just below U.S. Route 12 and White Pass. Each has unique characteristics that make these the most pristine areas of the forest and if protected in perpetuity forever available to our kids and grandkids to hike, ride, and play in. While many outdoor adventurists regularly trek across this forest it seems that few know about the Forest Services’ ongoing efforts to modify the way it manages the forest. 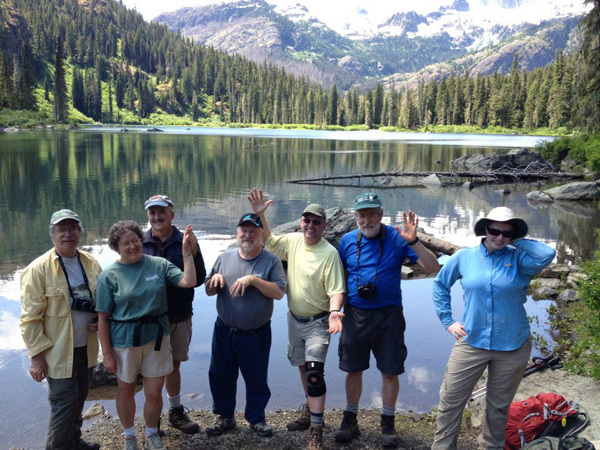 These changes can immediately impact hikers, fishermen, campers and boaters alike. For instance, the Forest Service may open up a trail to dirt bikes that has traditionally been for horses and hikers only. Imagine being out with your family, searching for solitude and instead finding the dust and noise these destructive vehicles leave in their wake. You may be peacefully snow-shoeing only to find out that even the non-motorized areas of the forests are now open to snowmobile traffic throughout the entire winter! These types of scenarios are governed by two ongoing processes, formally referred to as the Forest Plan Revision and Travel Management Plan Revision. I think of both as opportunities to protect trails and expand our coveted Wilderness areas. These are chances to change the rules and take back parts of the forest that have been sliced up and invaded by snowmobiles, ATV’s and dirt bikes. It is easy to get involved and little actions go a long way. Forest-loving volunteers from all over the state are stepping up; some are leading outings to special places and educating trip participants, others are writing short and sweet handwritten letters addressed to Forest Supervisor Rebecca Heath, who is in charge of making some of the biggest decisions. Some will testify at public hearings, while others make phone calls to community members to encourage the public to show up. And while we wait for new opportunities, volunteers schedule planning discussions so that we are on track to preserve what is left of the natural world. These processes represent considerably rare chances for public input that only come around every twenty years or so and we should be taking full advantage of them. The next opportunity for public input is scheduled to occur sometime in 2013 but now is the time to sign up. Now is the time to raise your hand and learn more about how you can get involved. To get involved or learn more please contact me, Graham Taylor, at graham.taylor@sierraclub.org or (206) 378.0114 x328. We have Wilderness is because of citizen activists and regular everyday backpacking nature lovers like you. Those who came before us recognized the value of the wild. Folks witnessed a developing world and knew they should put some aside, save it and invest in it so that it can be enjoyed in the future. American’s had an extraordinary opportunity to preserve a time machine that could take people back thousands of year before concrete and motors took over. The advocacy of our forefathers provided overwhelming benefits; natural universities for scientists and poets to learn from and gain inspiration, habitat for endangered wildlife and endemic plants, and thousands of acres open to generations of outdoor adventurers. Now is our chance to do the same for our children and grandchildren. Now is our chance to realize, as the indigenous peoples of these lands did, that “we do not inherit the Earth from our ancestors, we borrow it from our children.” Now is the time to preserve what we have, restore what is lost and create more Wilderness. Unfortunately, when given the opportunity, the Forest Service demonstrated an aversion to adding Wilderness. In 2011 they released a preliminary Wilderness recommendation suggesting that only 12 percent of eligible roadless lands should receive protection. If the Forest Service’s suggestion rules the day we will have to wait another two decades before we can permanently protect some of our most beloved wild places here in Washington. In that time, those places may be unrecognizable, gone or changed forever. The Forest Service’s decision left out places long-prized by legendary mountaineers like Ira Spring, and Harvey Manning; places like the Golden Horn, Long Swamp, Tiffany and Granite Mountain. Further south, the Service declined to nominate any new Wilderness in the Entiat and Chelan ranger districts, ignoring North Navarre Peak, Nason Ridge and the ancient old-growth forests in the surrounding Bumping Lake in the Naches district. In perhaps the most coveted region, the Teanaway, the Forest Service decided to recommend only 15,000 of 75,000 available acres for road-free “primitive” recreation. Many viewed this as a give-away to motorized user groups including dirt bikers, snowmobilers and quad riders. Many hikers shook their heads and have come together to advocate for human-powered recreationists who demand the protection of these ever-receding wildlands. Working in unison with the Sierra Club recreation groups like The Cascadians out of Yakima and Wenatchee’s El Sendero chapter of the Winter Wildlands Alliance have signed letters endorsing upwards of 70 percent of eligible roadless lands for Wilderness. The Conservation Community submitted over 34,000 comments to the Forest Service in 2011 echoing the call for more Wilderness. However, our work is not done and we will need to surpass these great results in order to get the Service on the right track. Still, our current coalition is not strong enough to sway the Forest Service. And while our coalition of support is growing, we need recreationists to put on their advocacy caps, get out their pen and paper and write letters to agencies that illustrate the value of these places. We must take our friends and family to these places, educate them and let them fall in love as we have. Once people comprehend the value of these places and the experiences they offer then they will be eager to schedule meetings with decision makers and do whatever it takes to spotlight the enormous benefits protection brings to the forest and our beloved Washington State. The time for action is ripe and as we cozy up for another long, dark winter we can prepare for a new year that will bring more opportunities for engagement. Long delayed, the Forest Service has promised to release the Draft Environmental Impact Statement (DEIS) for the Travel Management Plan early in 2013, to be quickly followed by the DEIS for the Forest Plan Revision. Both of these processes will offer our community a chance to engage, to talk with the Forest Service about how we use and value our public lands. And if we work hard enough, the snow may just melt in time for us to enjoy new Wilderness, for the first time. To get involved or learn more, please contact me, Graham Taylor at graham.taylor@sierraclub.org or (206) 378.0114 x328. Graham Taylor works for the Sierra Club's Resilient Habitats Campaign, focusing especially on protecting public forest lands. His current areas of emphasis include the Okanogan-Wenatchee National Forest, and State Trust Lands in Southwest Washington State. Originally from Sacramento, California, Graham came to Washington in 2003 to study History at the University of Puget Sound. He loves hiking, birding, computer technology, film, electronic music and spending time with his girlfriend of six years. Graham has also worked with the Audubon Society, AmeriCorps, and the Harder Foundation.